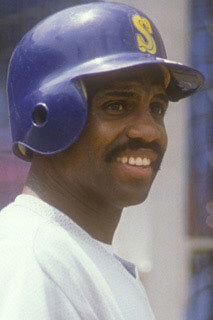 Former Seattle Mariner, First Baseman Alvin Davis. Photo courtesy of Leadership Education and Advanced Development. From a Leadership Education and Advanced Development. Tickets now on sale for 2018 LEAD Auction and Dinner Fundraiser. Leadership Education and Advanced Development (LEAD) is pleased to welcome former Seattle Mariner First Baseman Alvin Davis to their 2nd Annual LEAD Auction and Dinner on Saturday, February 3, 2018 at 5 p.m. The event returns to the Everett Boys and Girls Club where LEAD began their fundraising journey in 2017. There is much to celebrate at this year’s event as LEAD had an amazing year. Sports equipment was made available to athletes in Venezuela, California, and numerous Boys and Girls Clubs across the state of Washington. In addition, LEAD hosted several sports camps for kids that were free to attend. From a business standpoint, 2017 saw LEAD secure office and storage space in Lynnwood and add a part-time employee focused on the collection and distribution of sports equipment to children in need. Collection boxes were distributed further throughout the West Coast. Finally, LEAD’s Board of Directors grew to eight committed members who were able to acquire the organization’s 501c3 certification. These achievements were made possible through the generous support of last year’s auction attendees. LEAD looks forward to expanding their commitment to mentor leadership skills in youth, but relies on the community’s financial help at their annual auction to make that happen. Tickets that include dinner can be purchased online for $60 ($500 - table of ten). VIP tickets that include a special reception with Alvin Davis and more are available for $120 ($1,200 - table of ten). Sponsorship packages start at $250 and organizers are currently accepting auction items. To purchase tickets, a sponsorship package or donate items, simply visit LEADGives.com. LEAD works with professional athletes, businesses and community leaders to mentor leadership skills in youth through sports and other educational activities. The organization is open to all who wish to participate and benefit from LEAD'S programs. The primary goals of all activities are to develop life skills, instilling a passion for healthy competition, fearless determination, grit, selflessness and leadership.